First, save money to buy Lacey, my dream show horse. Second, earn a scholarship for a spot on the equestrian team at my dream college. Third, meet the perfect guy. Before I stumbled upon a story on the internet about my father who abandoned our family when I was four. Before I found out about Chase, the seventeen-year-old my father chose to help raise instead of his own kids. Before I learned there was something I could do to help my father with his PTSD. Before I realized I held the key to another dream: reuniting my family. Before I started to fall in love with Chase. Before I knew I'd have to sacrifice some of my dreams if I wanted others to come true. 14 year old Dylan Westcott never expected that his family would move from Manhattan. But after Erik, his 6 year old brother with autism, nearly dies in a freak accident on a city street, the family relocates to rural western New York. In the blink of an eye, Dylan’s summer of freedom is stolen. Instead, he’ll be tied down taking care of Erik – with help from Scout, Erik’s new assistance dog. The one up side to the move is his new neighbor, Willow Anderson – a fun girl who challenges all the rules, not to mention, she’s irresistible. The only hitch is her brother, Brock, a dangerous and unstable bully. Dylan’s protective nature surges when he learns Willow’s scars and bruises are the direct result of Brock’s abusive behavior. With Erik safe, Dylan vows to protect the girl he’s falling for. And he’s falling hard. Willow is unlike any girl he’s ever met. While he admires her sense of adventure and love for animals, her rescue efforts are not only breaking the law, they’re becoming dangerous. When she hides the truth, Dylan’s trust is broken. Willow isn’t the angel he thought she was. But he can’t shake his attraction to her, so standing up to the bully to protect her seems like the right thing – until it puts everything else, including his life, at risk. He wants to prove he’s man enough to keep Erik safe. He wants to maintain his personal integrity. He wants to teach a lesson to the worst bully he’s ever met. And he wants the girl. 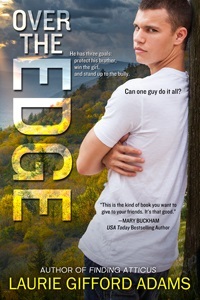 But what if having it all means going Over the Edge? 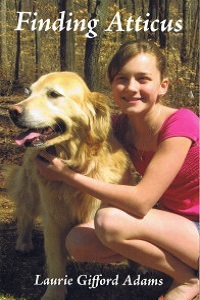 Thirteen year old Jamie Reston is still recovering from the death of her father when another loss threatens her. Atticus, a champion show Golden Retriever, saved her from the darkest days after her father’s death when he helped her find happiness again. But now, because he is the most valuable dog she owns, Atticus’ owner is forced to sell him in order to save her kennel from bankruptcy. For Jamie, the unthinkable is for Atticus to be snatched from her life. Desperate to not lose him, Jamie does the unthinkable. During the night, she sneaks Atticus from his kennel and hides him in a shack deep in the woods so he will miss the flight to take him to his new owner. To Jamie’s surprise, the whole town gets involved in the search for Atticus, including a boy she’s had a crush on all year. Her simple plan spirals out of control and becomes a complicated mess. 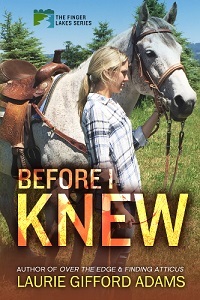 Before she has a chance to decide how to handle the situation, Atticus’ life is threatened. Now Jamie fears she may not only lose him, but that Atticus will die because of her foolish decision to take matters into her own hands. 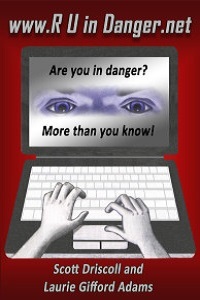 You think you’re safe on-line? Think again! Exploitation of children through the Internet and other forms of technology has exploded over the last decade. Because the Internet is no longer a novel communication tool, we tend to be less vigilant about monitoring our actions while using it. As a law enforcement officer working both on a federal task force and as a local officer, I have spent countless hours on the Internet undercover as a kid. What I have seen, no one should have to see. It’s proof that there really are monsters in the world. Every day kids are being exposed to people, images and thoughts that no kid should EVER see. Predators are coming into your home, children are being taken advantage of and innocence is being stolen. Don’t become a predator’s next victim. This book is a MUST read guide for EVERYONE who uses today’s technology. Families are encouraged to read and discuss this book together.